Are You Looking For a Free Mold Inspection? Click Here! 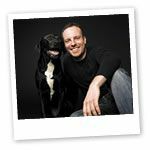 « Blog | 1-800-GOT-MOLD? Are You Looking For a Free Mold Inspection? Click Here! 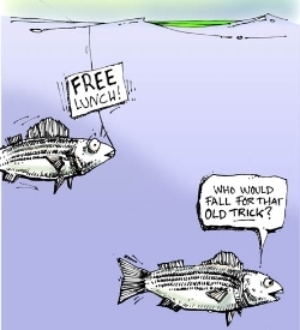 You’ve surely heard the phrase “There ain’t no such thing as a free lunch!” We hear it all the time, but have you ever wondered where that came from? 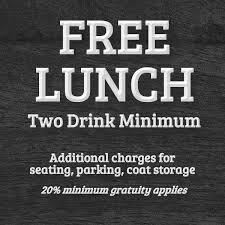 As it turns out, the “free lunch” refers to the tradition of pubs and taverns providing a complimentary midday meal to their patrons. Of course, the offerings consisted of something sufficiently salty so that anyone who ate the “free lunch” ending up drinking plenty of paid-in-full grog to wash it down. The food may have been free, in theory, but money still changed hands. Week-in and week-out we get calls from people looking to book a “free inspection,” usually immediately, later on the same day. Umm…okay. So, we have to let these folks down easy. See, first of all, we’re usually booked at least two weeks out, with actual, real, live, paying customers. Imagine that! So, it’ll be difficult for to make it over at 2pm today. Sorry. The problem is this. We are a mold inspection company. In other words, that’s what we do for a living. The companies that come and do free inspections aren’t actually mold inspectors. They are mold remediators. The people who offer free services are doing so with the hope of getting paid some other way, and they are also often providing services that they are woefully unqualified to provide. You wouldn’t want us to come out and give you a free root canal, would you? Also, a proper inspection takes several hours on-site and usually costs +/- $1500, including the testing, which consists of analysis of samples we collect and overnight to an independent, third-party laboratory. The lab certainly doesn’t do that for us at no cost, so how could it be free, unless we were making money some other way? The “free inspections” people seek, which we clearly and rightfully charge for, generally represent a total investment on our part of nine to ten hours, the byproduct of which is a comprehensive written report documenting our findings and a detailed remediation and repair plan. It also almost invariably involves additional hours of consultation in person, on the phone and by email as well. Trust me when I say this: a free mold inspection like this doesn’t exist. In fact, a free inspection of any sort doesn’t really exist.Let’s take a look at it this way. First of all, who would value their time at precisely zero dollars per hour? If you said, “No one!” then pat yourself on the back, you’re a lot smarter than these companies are giving you credit for. Also, if a “professional” values their time that way, why would anyone else attribute any greater value to it? During a free inspection, someone from a mold remediation company — not a mold inspection company — will come out to your home and look for a mold problem, whether you have one or not. In all cases, they are hoping to find one and attempt to sell you mold remediation services. You may be thinking, “That sounds more like a sales call” and you would be right. For a mold remediation company, the “free inspection” is really just a way to get their foot in the door. Your door. Sometimes they even offer “one-stop-shopping” and offer to do the testing before and after the remediation. That sounds like a conflict of interest, doesn’t it? It is, especially if you’re concerned about your best interests, but that’s not even the worst part. Now you’ve arrived at the reason that we exist.There is such a blatant conflict of interest when companies perform both mold remediation and mold inspections, that it’s actually illegal in several states and there are many states where similar legalization has been proposed. Texas and Florida are two standout examples. In fact, we wrote an article about this very thing not too long ago. You can find it here. It’s been illegal in the asbestos business for ages, and it should be illegal in all 50 states when it comes to mold too, in my opinion. Eventually it hopefully will be. In the meantime, you, the consumer, need to be aware of the landscape and protect your own interests, because there are more companies out there doing it the wrong way than the right way. That’s for sure. Unlike the many companies that do both mold testing and mold remediation, often testing their own work – a major no-no – we perform mold inspections, mold testing and mold remediation consulting. That’s it, and that’s all. We charge for our time, expertise and advice. We don’t benefit from the size of the problem you have, whether it be large, small or non-existent. What we care about is a healthy and expeditious resolution to your problem, especially since the vast majority of our business is word-of-mouth, often referrals from physicians who believe their patient’s house may be making them sick. We have no financial arrangements with any contractors. In fact, it’s our job to pass or fail the project at the end. How much of a conflict would that be? We fail contractors every week and hold their feet to the fire. We never look the other way. In fact, we are known for being fairly hard on the contractors. They love us when we refer them business and hate us when we fail them because they still have more work to do. Oh well! 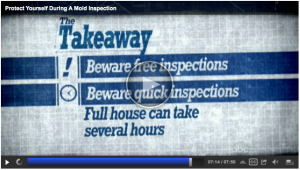 So, what does a proper mold inspection entail? First of all, it’s at least usually a 2-3 hour commitment on-site, that begins with learning about the background of the building and the concerns of the occupants, followed by a comprehensive physical inspection of all accessible areas of the building, inside and out. Various screening methods are employed to “peel the layers of the onion” away. In our case, we’re equipped with infrared cameras, laser particle counters, electronic moisture detection equipment, and many other tools, all utilized by a very experienced, highly trained specialist. Following the first phase of the inspection, a testing strategy is developed and approved by you, the homeowner. Samples are collected in accordance with industry standards and sent to an accredited third-party lab for analysis. When the results come back, a document is generated containing all of the observations made, including building defects, deficiencies, repairs needed, and a comprehensive remediation plan, along with the laboratory report and a written summary of the analysis, in language that anyone can understand. 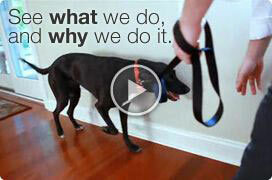 It’s a step-by-step game plan designed to be the blueprint for restoring the property to a “normal,” healthy condition. And it doesn’t end there. An environmental consultant, like 1-800-GOT-MOLD?, would then help you select the contractors, and come back when the contractors think they’re finished to do the requisite inspection(s) and testing, and make sure the work has been completed satisfactorily, before you release the final payment to them. If more work still needs to be done, the contractor must then come back and do what’s necessary to complete the project at no additional charge, as many times as the need to, until the project is granted final clearance. Then they get paid. And you can breathe easily, knowing that you’ve actually gotten what you paid for. Try getting all of that for free, no strings attached. P.S. After this post went up, an ABC Special was brought to our attention. It features some other NJ mold companies and their unsavory tactics. You may find this very interesting in your search for a competent company that you can trust. Just click on the image below to watch this brief and enlightening piece. ABC News: Find out what seven mold inspectors are prescribing and what the experts have to say about it.